Why is my Wiki page empty? The Wiki Page Library and Enterprise Wiki do not use the same content types and they do not use the same property to hold the page's content. Because of this, there are two mappings that must be done in order to correctly copy wiki pages from a wiki library to an Enterprise Wiki with ShareGate Desktop. 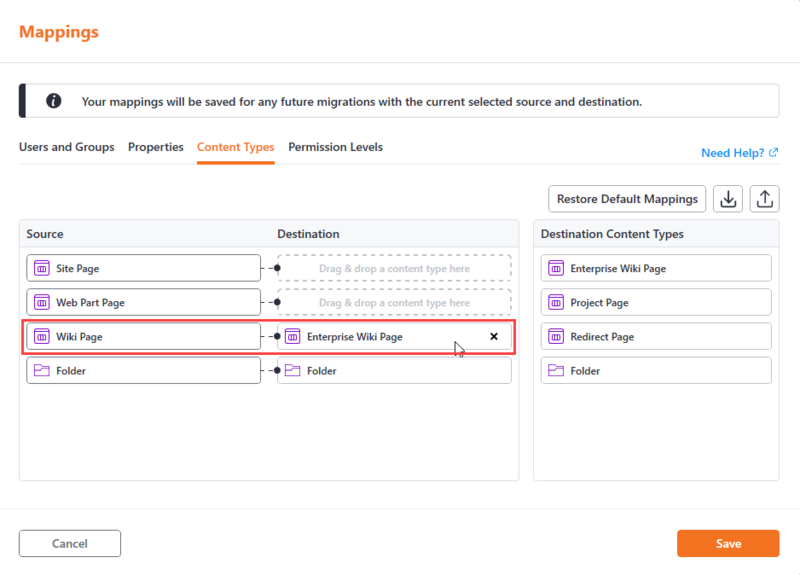 Click Content Types to map the content type Wiki Page to Enterprise Wiki Page. 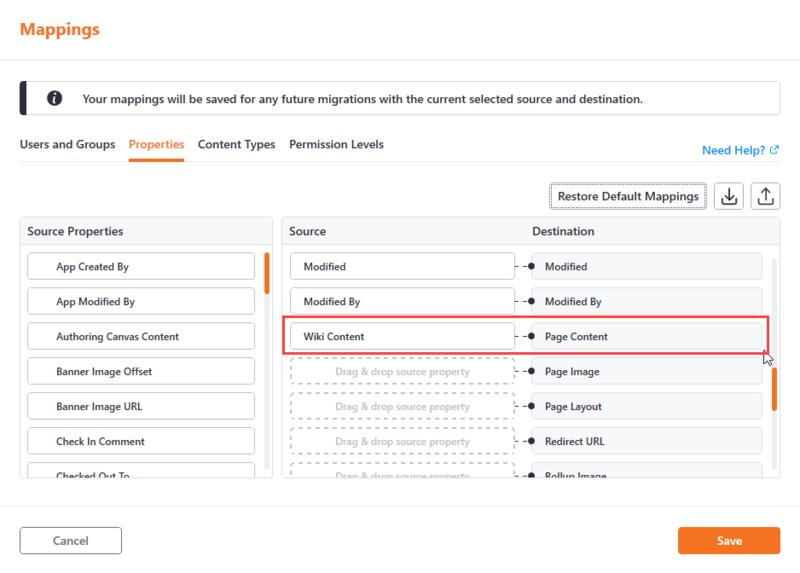 Click Properties to map Wiki Content with Page Content. An additional step is required to set the appropriate Page Layout. 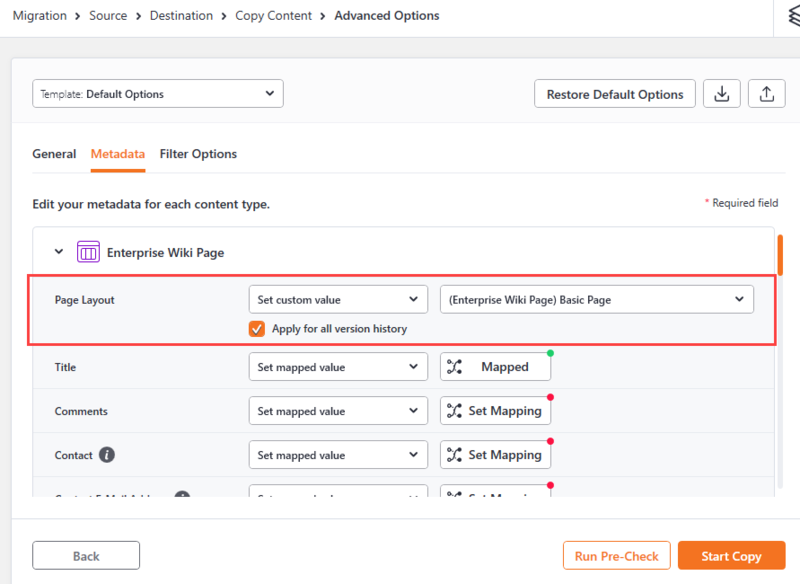 Access the Metadata section of Advanced Copy, and on Page Layout, select Set custom value and choose (Enterprise wiki Page) Basic Page. How are permissions migrated with ShareGate Desktop?